2. 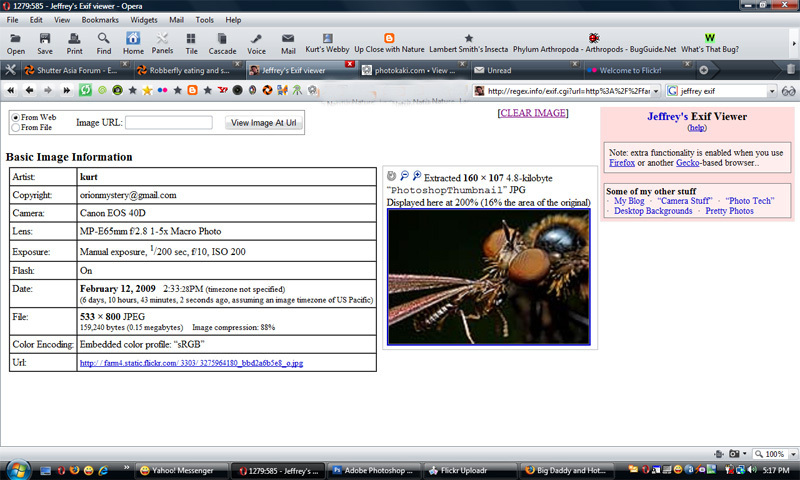 Why would I want to view the EXIF? a. Date and time information - Digital cameras will record the current date and time and save this in the metadata. b. Camera settings - This includes static information such as the camera model and make, and information that varies with each image such as orientation, aperture, shutter speed, focal length, metering mode, and ISO speed information. c. A thumbnail for previewing the picture on the camera's LCD screen, in file managers, or in photo manipulation software. d. Descriptions and copyright information. 3. 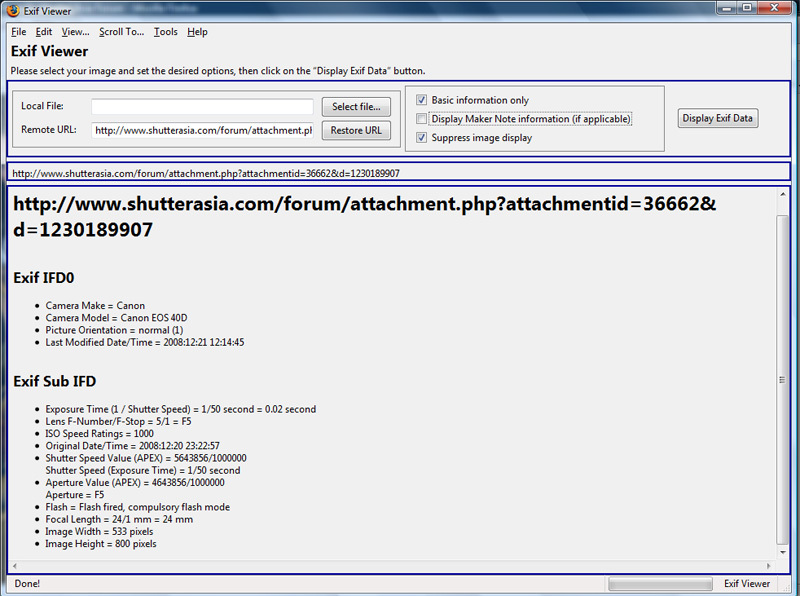 How to view EXIF? 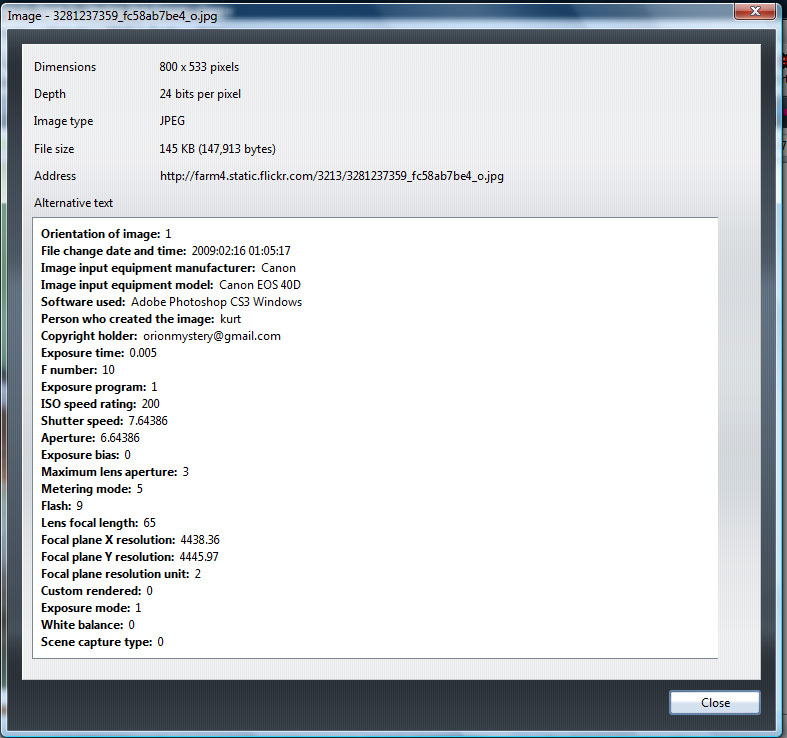 a. Opanda iExif Viewer - is a free stand-alone application for viewing Exif data, and also a plug-in for MSIE and Firefox on Windows platforms, that allows examination of detailed Exif data online by right clicking on an image. 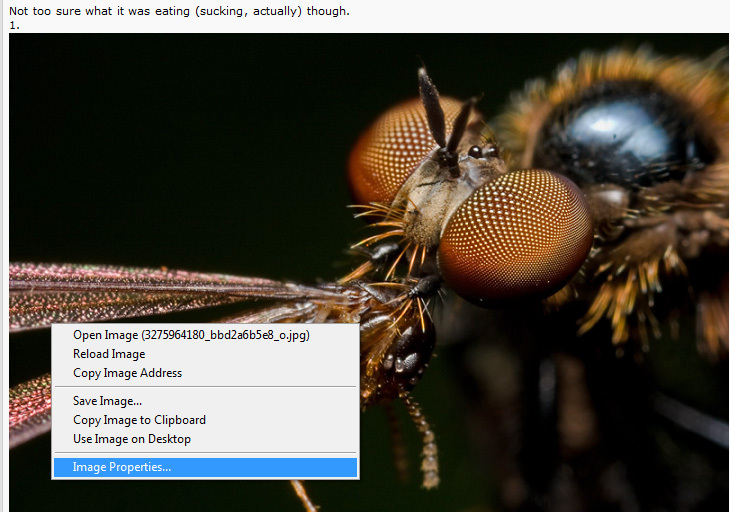 Right click on image, then "Image Properties"
Right click on image, then "View Image Exif Data"
e. Jeffrey's Exif Viewer - can't install any of these in the office? No sweat. 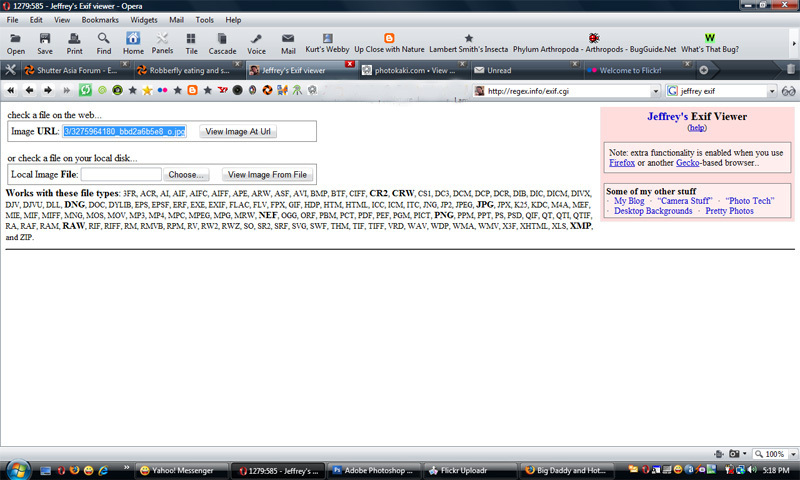 Just copy the image URL, and paste it into the box and off you go! Last edited by orionmystery; 02-19-2009 at 06:03 PM.. I read through the whole instruction, and even downloaded the software and installed, still blur-blur.... can't find how to save the file in EXIF format...! Hope you don't mind guide me through, please. From I understand the software is only for viewing details of the image, but can't be save in it EXIF format... must be I missed the step or totally out off the topic. Just an example. This is one of your shots u posted in SA before. 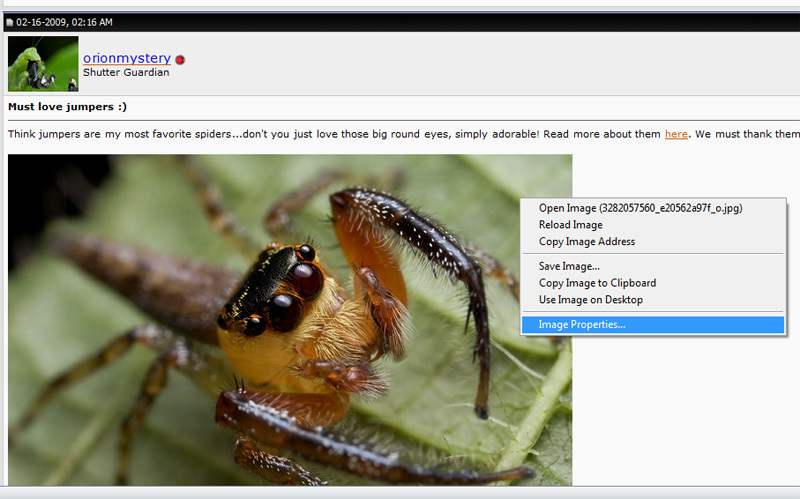 The exif is embedded already. There's no such thing as exif format. 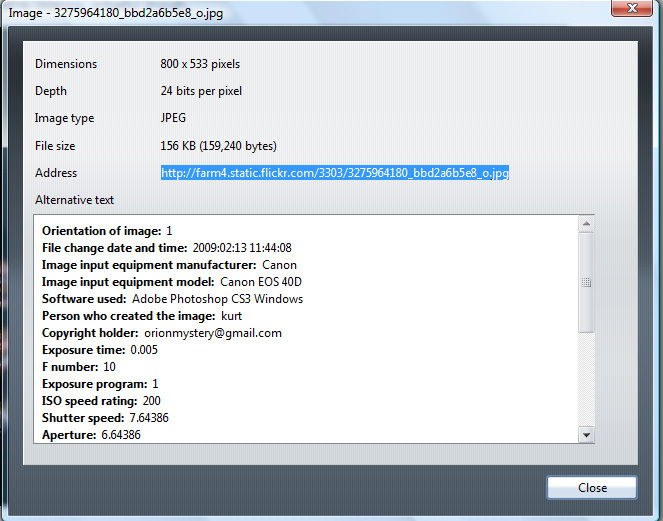 Either you save with the exif intact or you save without the exif. (save as web). I suggest you do more googling and reading up.